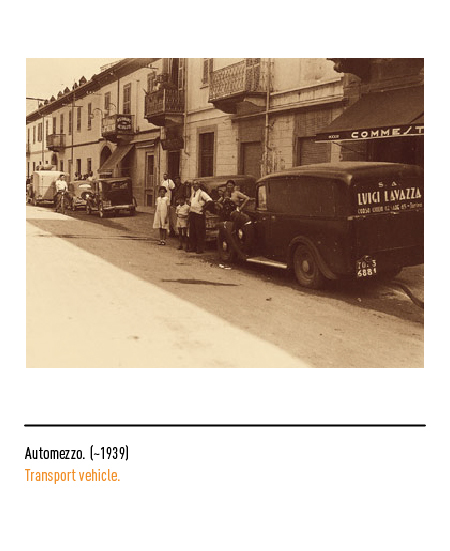 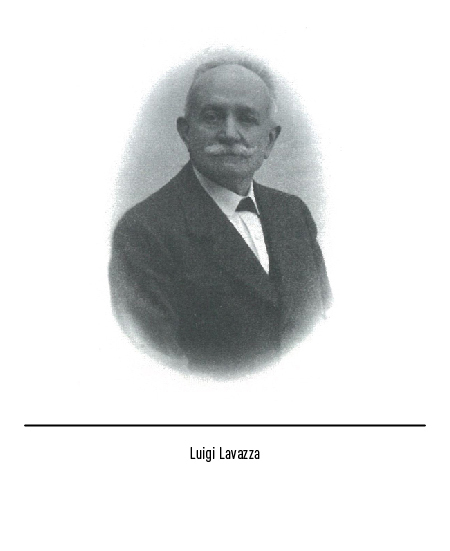 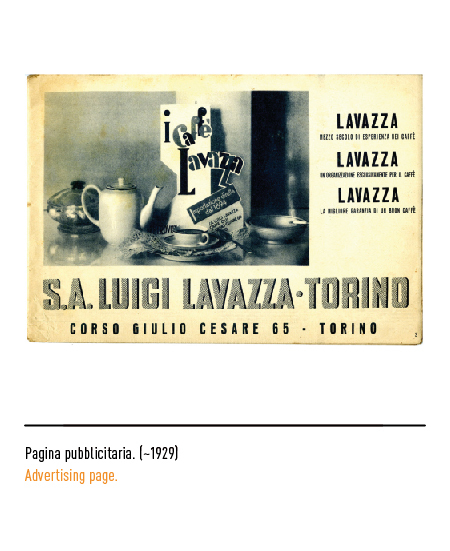 The founder, Luigi Lavazza, started the company after acquiring, in 1894, a small drugstore in the outskirts of Turin, focusing on the good which most fascinated him: coffee. 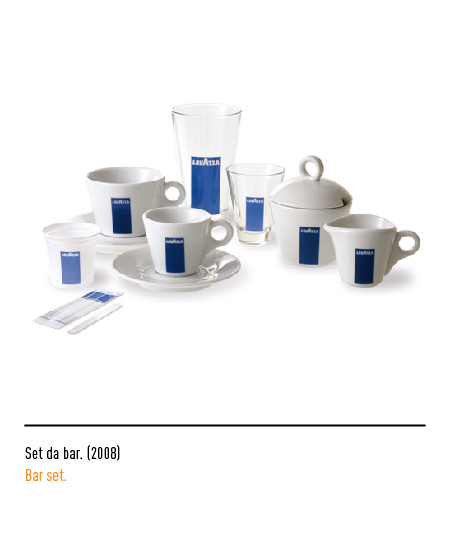 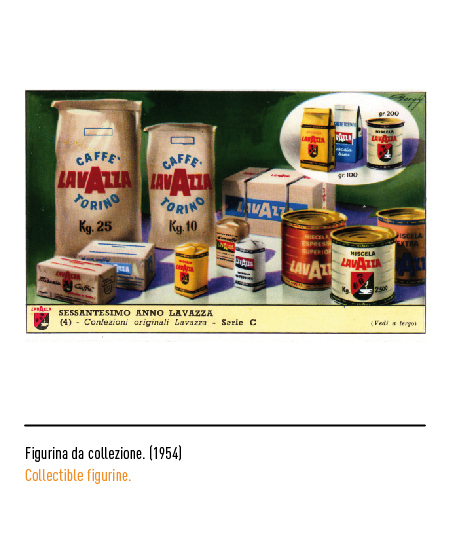 While the other drugstores were selling single varieties of coffee without mixing them, Lavazza was the first to sell different varieties of coffee mixed together. 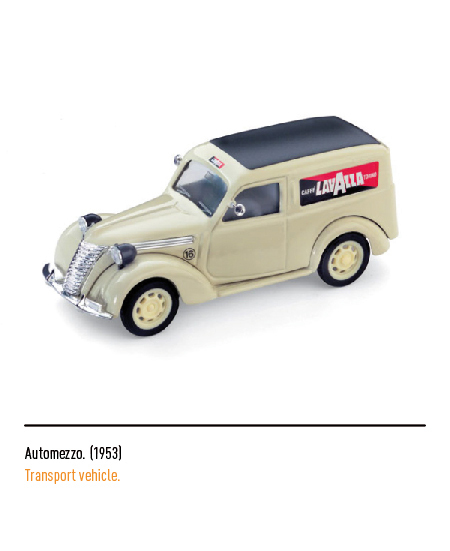 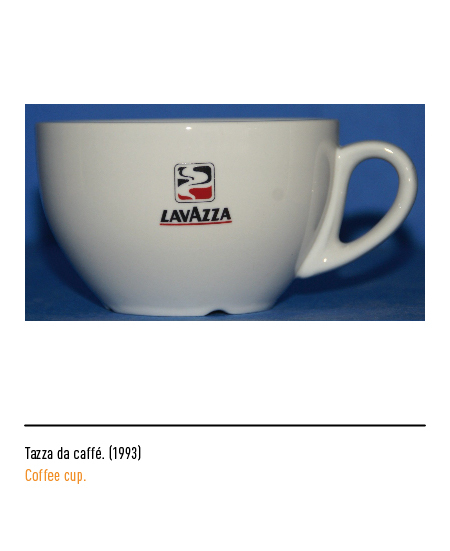 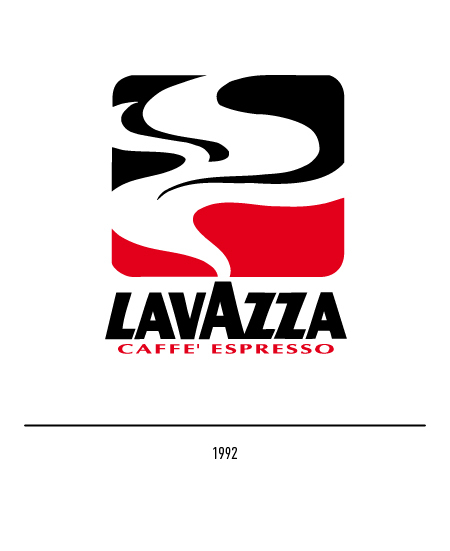 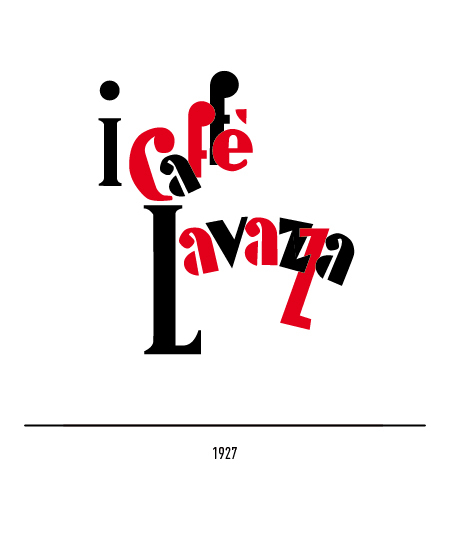 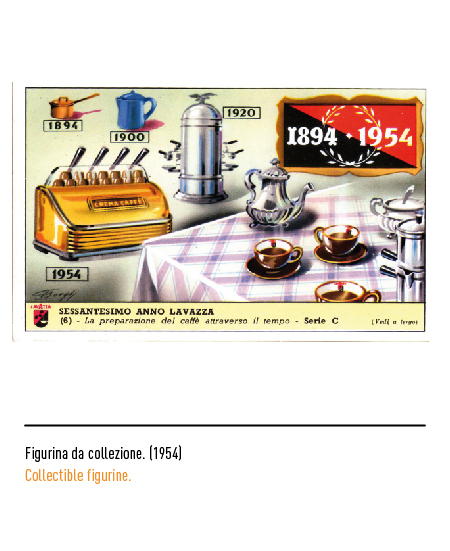 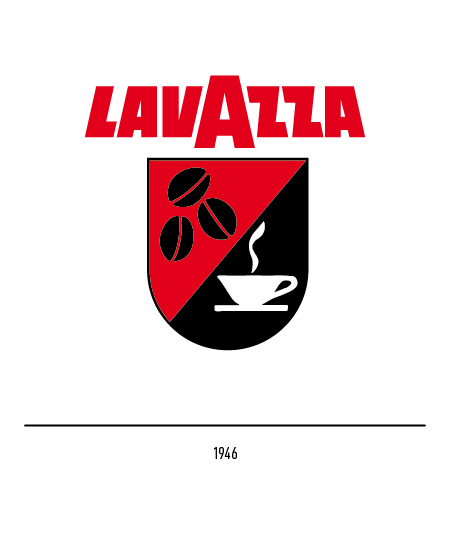 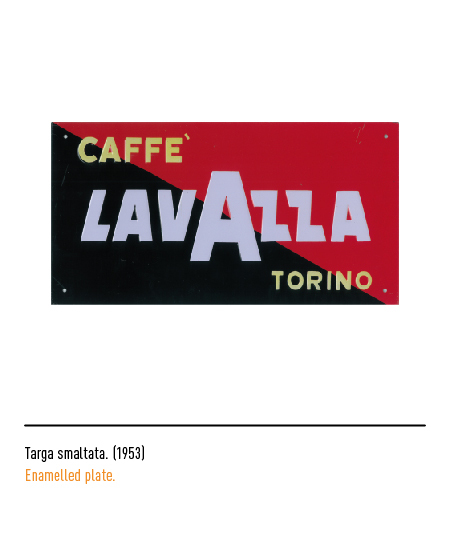 In 1927 showed first trademark "i caffé Lavazza" (Lavazza Coffees) with red and black letters but only in 1946 appears the first real trademark by the Aerostudio Borghi in Milan: the logotype with the big A in central position sided by a title with a smoking hot cup and some coffee beans, all of it in the institutional colors of the time, red and black; in 1950 the composition is thinned, featuring only the logotype inside a black and red rectangle. 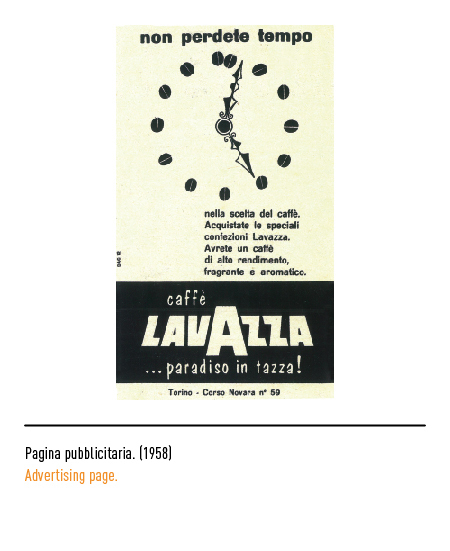 The diagonally bicoloured background resembles a lot that of Cinzano but really it comes from the cromatic composition of the first logo. 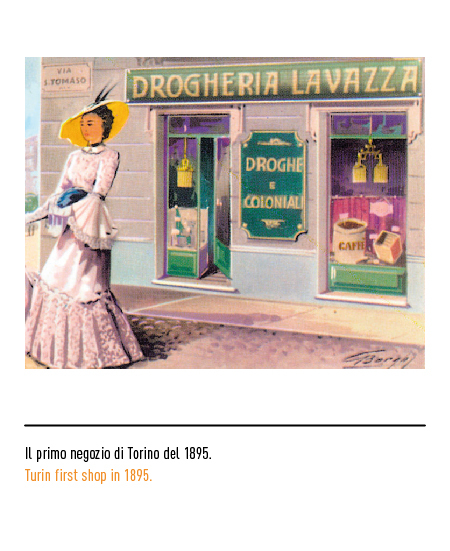 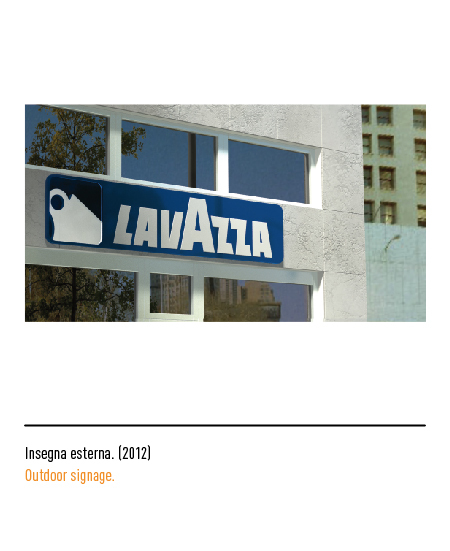 As a single-product company, it soon became the worldwide symbol of Italian coffee. 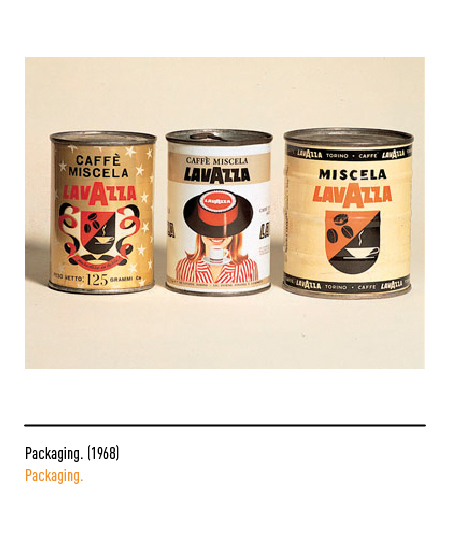 A lot of the products had a strongly different brand from that of the company which made it; for example, the Paulista coffee, stored in cans "sotto vuoto spinto"(under high vacuum), allowing a longer storage time, which translated into a broader area of trading. 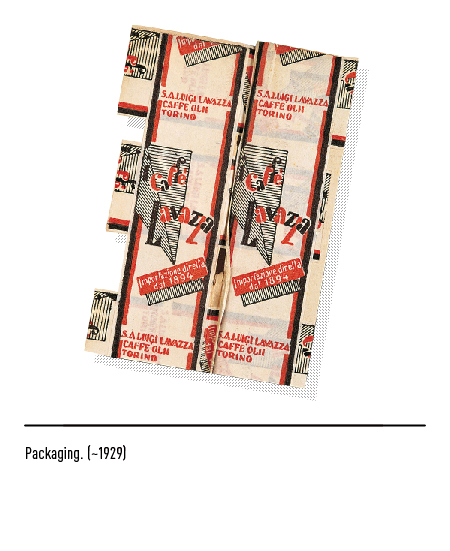 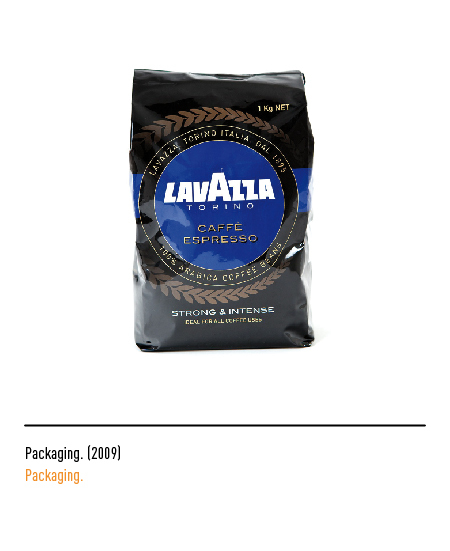 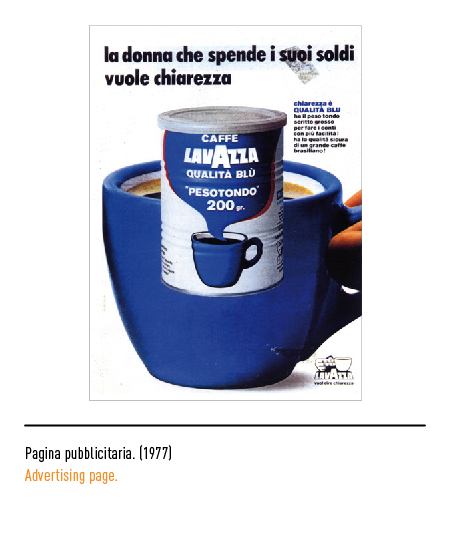 Alongside with its products, the company also hit the spot in the marketing field, thanks to unforgettable characters such as Caballero and Carmencita, and quotes such as that of the actor Nino Manfredi "Caffé Lavazza, piú lo mandi giú piú ti tira su" (Lavazza coffee, the more you drink it down, the more it lifts you up). 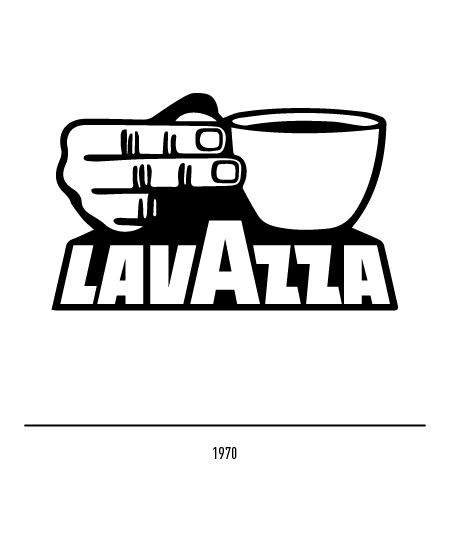 Armando Testa will design, in 1970, the new logo: a hand grabbing a coffee cup, both put on a plane formed by the three-dimensional letters. 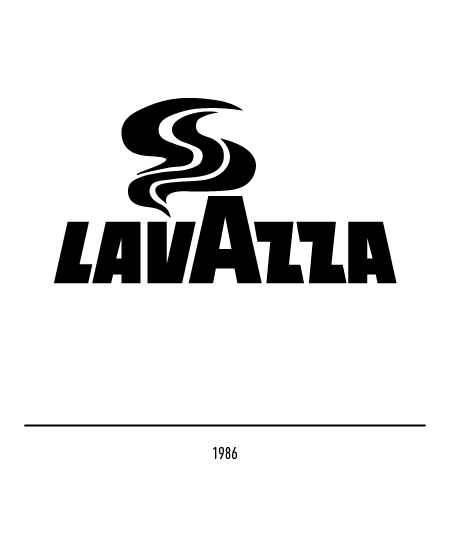 In 1986 the restyling of the logo is appointed to Di Robilant: the hand is replaced with a small smoke cloud. 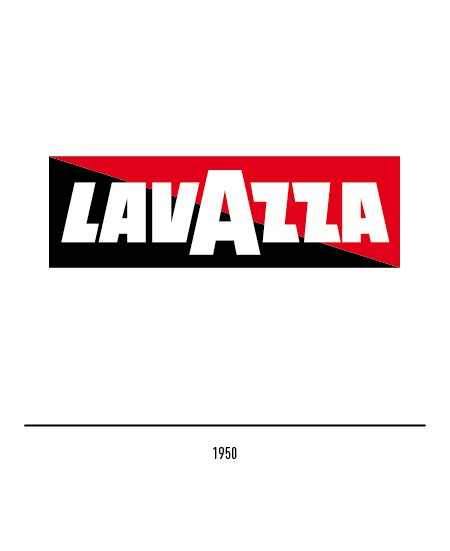 In 1991, Di Robilant operates yet one more restyling, inserting a red underlining to the logotype and modifying its lettering. 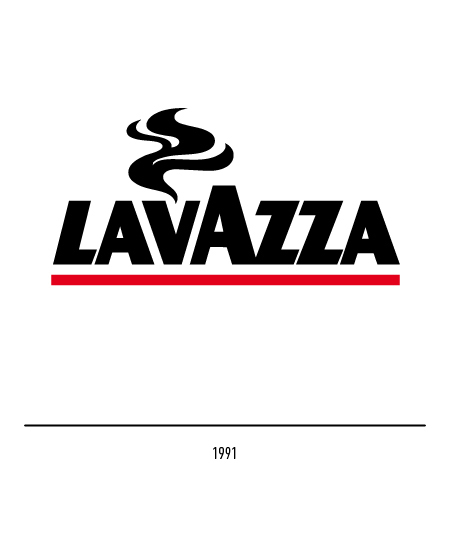 In 1992, Di Robilant introduces the new logo, exclusively for retailers, which will feature any official document relative to the trading. 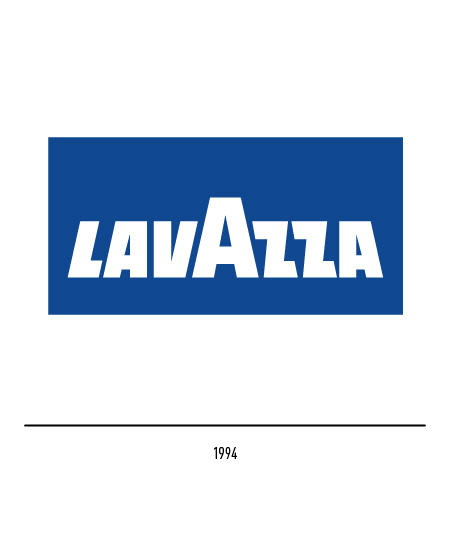 In 1994 the Testa studio presents the new logo, with an unusual blue color, so to represent the company, in Italy and worldwide, with immediacy and expressive strength. 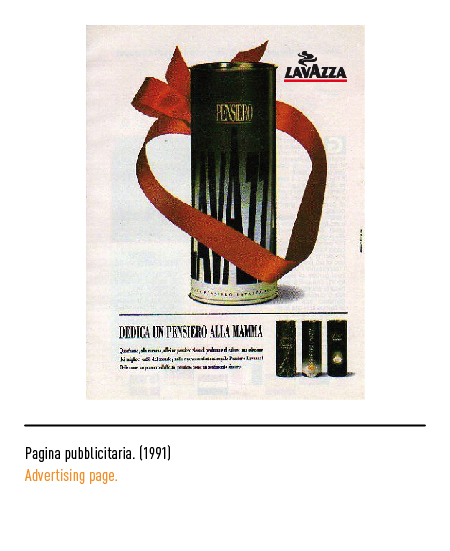 AAVV, Armando Testa, Edizioni Charta, Milano, 2001.